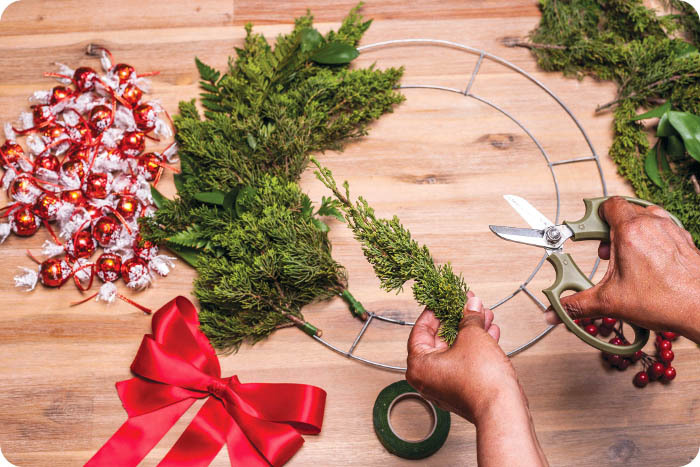 Assemble wreath by taking pieces of cut foliage and tying them with tape to the wire frame. Follow the natural curve of the branches. Continue layering pieces in the same direction, taping tightly. Exposed wire will get covered as you go along. When you have come all the way around, simply tape ends tightly to one another. Cut tape and do a few extra twists to secure. Cover any visible wire by using smaller stems. 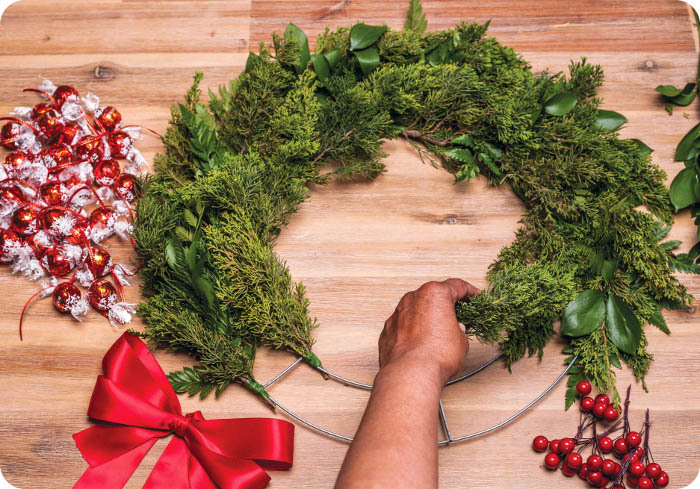 Add decorative elements, such as holly or berries. 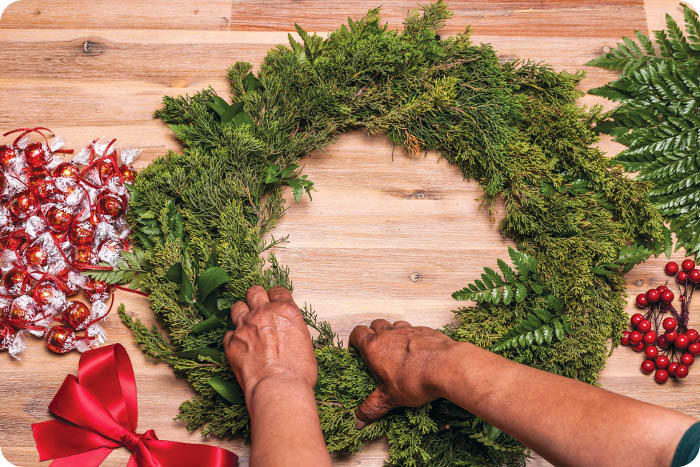 Place the LINDOR truffles around the wreath and tie or glue in place. Add a pretty bow by securing it with wire or glue gun. And voila! 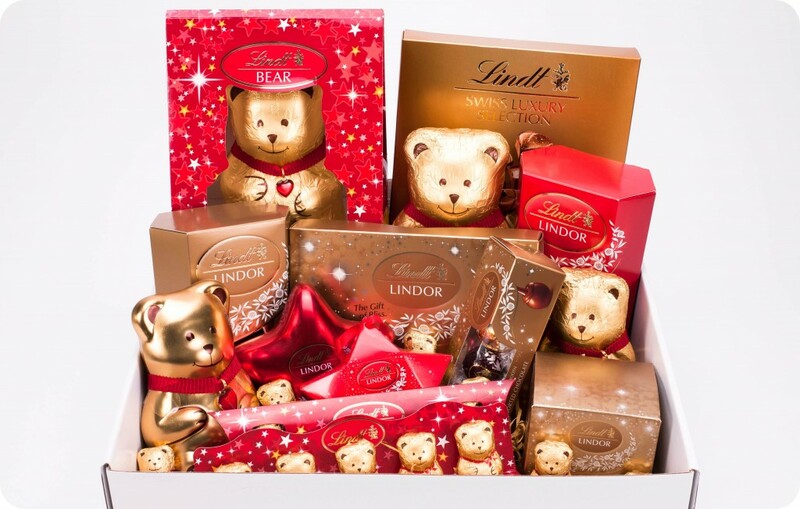 Lindt South Africa and I are sharing the Christmas cheer – we’re giving away a Lindt Bear and LINDOR Christmas hamper (with a value of more than R 1200,00) to one lucky Pink Peonies blog reader. You can either divide the contents of the prize up into smaller gifts / stocking stuffers for Christmas; or just keep all the choccies for yourself! 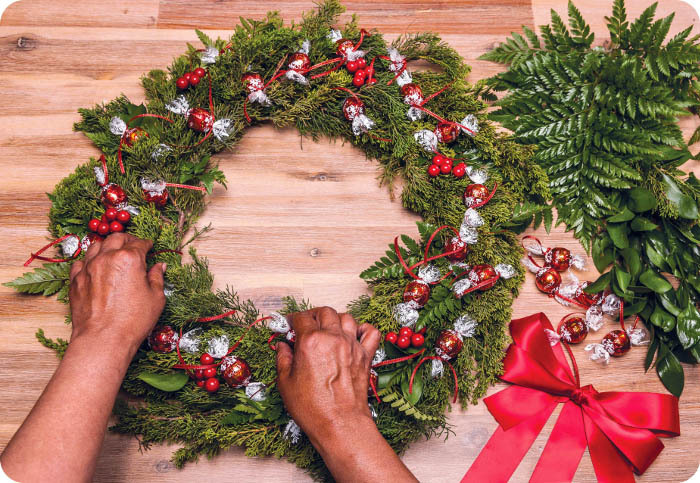 Tell me in the comments section below: How many LINDOR milk chocolate truffles were used to create the above DIY Christmas wreath? Retweet my giveaway tweet here. Share this giveaway with your friends on Facebook (remember to tag my page in your post). Share this giveaway with your followers on Instagram (remember to tag me @pinkpeoniesblog in your post). You only have TWO DAYS to enter this giveaway – today and tomorrow (Sunday). The giveaway will run until 9am on Monday, 7 December 2015, with 1 winner being selected at random shortly afterwards. I always announce the winners of my giveaways on Facebook and Twitter, so make sure you follow me on both social media platforms. P.S. 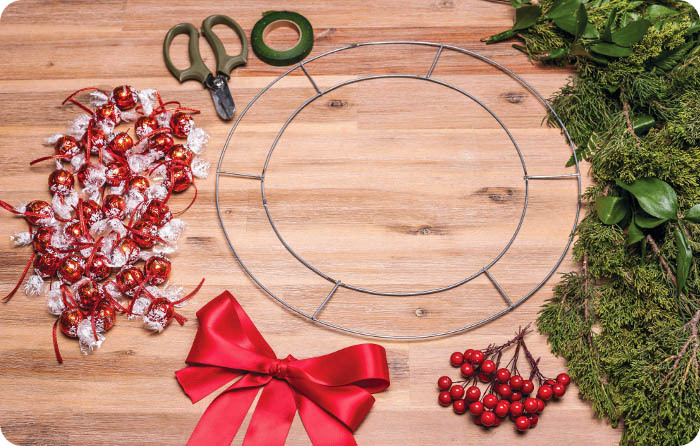 Can’t wait to try and make the Christmas wreath. Thanks for the post!! Mmm yum! 20 of those delicious chocolate truffles! Thank you for the opportunity to win this prize, Luzanne. 20 Lindt balls 🙂 retweeted and shared on Instagram. 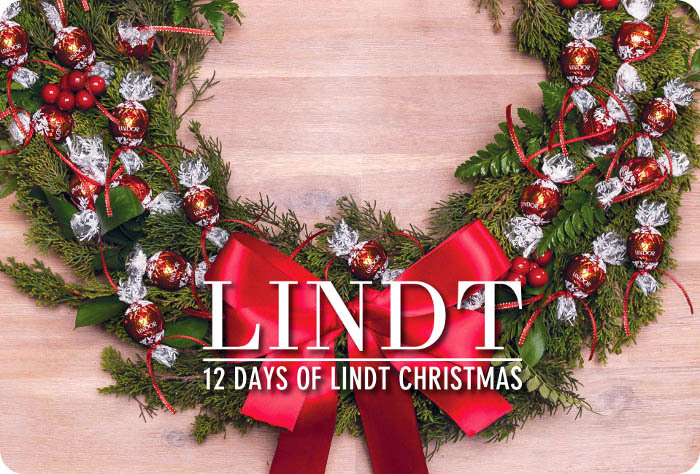 20 #12DaysOfLindtChristmas. Tweeted, shared on FB and instagram. 20 truffles were used! 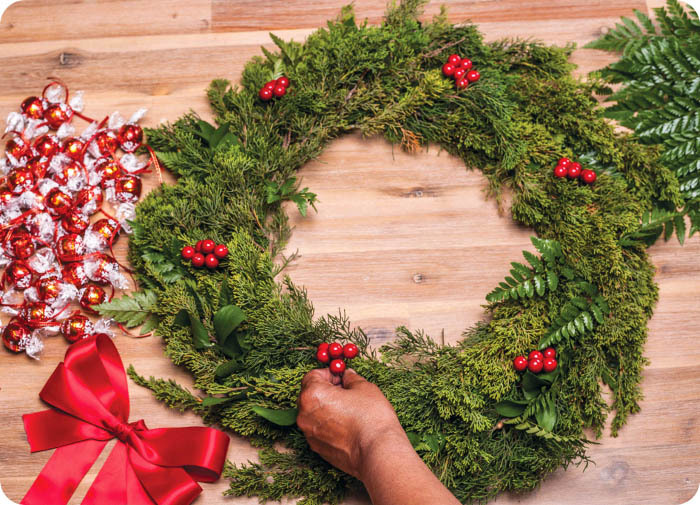 I wouldn’t have been able to make the whole wreath without a few, err, disappearing, though! 20 delicious Lindt chocolate truffles! 20 x LINDOR Milk Chocolate Truffles. This gift is a chocoholic’s ultimate fantasy!!!! 20 totally addictive LINDOR Milk Chocolate truffles. 20 x LINDOR Milk Chocolate Truffles. 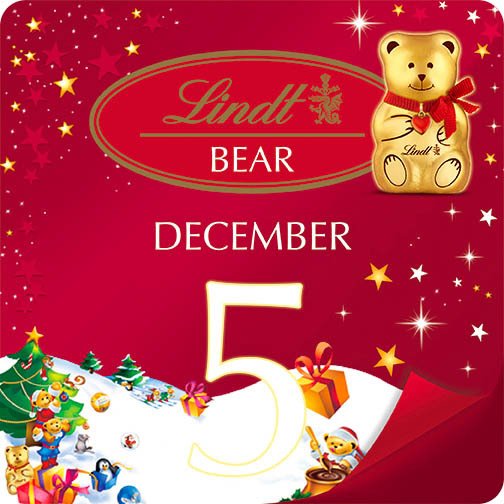 In the jingle of bells and on a holy night 20 Lindor truffles were used to make a wreath of joy. 20 truffles used for the wreath!! 20 of the most delectable Lindor truffles, Yum! Thanks for this giveaway, Luzanne! You always have theeee BEST giveaways!!!!!!!!!!!! You used 20 balls to make the Lindor Wreath! 20 delicious balls were used. 20 🙂 Yummy yum yum! You used 20 Lindor Truffles. Guess I would have eaten them before the project was finished. Stocking fillers? LMAO….no it will only be filling my belly! 20 DELICIOUS, DELECTABLE, DELIGHTFUL, DEVINE and LUSCIOUS LINDT TRUFFLES!!!!!! 20 truffles – Oh to win this with my birthday just days away!!! 20 delicious truffles. Would love to win them for my amazing hubby who is being treated very poorly at work despite four years of working loyally like a slave for the company he works for. He deserves a treat! 20 x LINDOR Milk Chocolate Truffles !!!!!! 20 x LINDOR Milk Chocolate Truffles! YUMMO! 20, twenty, 19 + 1, veinte, viginti ,eikosi, ni-zyu, uer-shi ,esrim, venti, vingt, zwanzig , ishirini, vinshat, ndau-ddeg, nmyee-sib!!!! THE BIG 2 0 !!!! LINDOR is my favorite treat and best way to treat my family…..